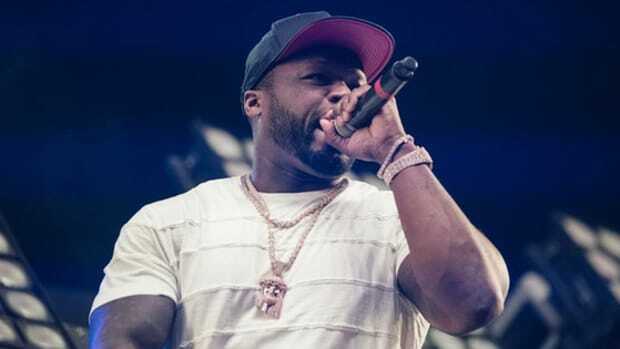 SANTA MONICA, Calif. -- With a $70,000 grant, 50 Cent and the G-Unity Foundation made it possible for 50 kids from the Jamaica, Queens and surrounding areas, to attend the Summer Stars Camp for the Performing Arts in Cape Cod, Massachusetts. 50 Cent specifically chose this camp because it provides deserving youth with an opportunity to explore and develop their creative abilities. The camp offers small group programs in improvisational acting, blues performance, dance, musical theater/choral singing, set design, juggling, drumming and music video production. On August 26th, 50 Cent visited Summer Stars Camp where he spent some one on one time with campers and delivered a motivational speech encouraging the youth. "These kids performed a great show for me. It was exciting and rewarding to interact with them and give them an opportunity to showcase their talent." The G-Unity Foundation is a public foundation that provides grants to nonprofit organizations that focus on improving the quality of life for low-income and underserved communities. Recent grants were appointed to Harbor Conservatory for the Performing Arts, 92nd Y, New York Restoration Project, and Project Hope.